These questions arose when reading that British Columbia is currently holding a six-week public consultation on whether former RCMP members should be permitted access to special veterans license plates. 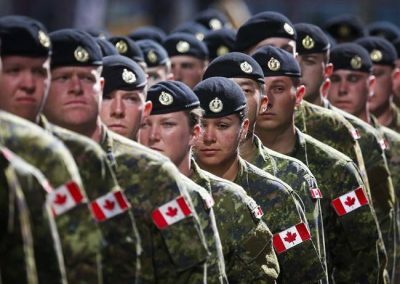 The opposition has complained the consultation is only taking place online while some military veterans have threatened to return their special license if the RCMP are allowed to join their exclusive club. Yves Engler is the author of A Propaganda System: How Canada’s Government, Corporations, Media and Academia Sell War and Canada in Africa: 300 Years of Aid and Exploitation . To help organize an event as part of the fall tour for my forthcoming book Left, Right: Marching to the Beat of Imperial Canada please get in touch at yvesengler [at] hotmail.com Read other articles by Yves.